A very nice bright hardback copy in original cloth. Clean and tight. 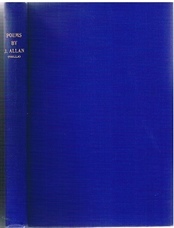 Pages slightly yellowing with age; lacks f.e.p. else very good. ; By the author of "Jean Sma'" and other Scots poems.